“201 Walt Disney World Tips & Tricks” this post took a bit of writing. I initially started with aiming for 500 Tips & Tricks, then 250 but have settled on 201. However, some of the tips, tricks, hints & secrets in this post will help you plan a great Disney World vacation. If there are any additional tips you think we have missed please leave a comment, and perhaps eventually we will reach 500! We all like to relax on vacation taking each day as it comes. However, Walt Disney World is one vacation you must plan! Disney Theme Parks are massive. None of them can be completed in just 1 day. We have created a great selection of Walt Disney World Planning Tips & Tricks here on Modern Life is Good. A key component for creating your plan is mastering the Fastpass+ system. Fastpass+ is Disney’s attraction reservation system allowing you to book attractions in advance of your visit. Your Fastpass reservation will enable you to join a much shorter queue so you can experience the ride quicker. Not having reservations will mean longer waits and completing less attractions. There are a whole host of rules over Fastpass+ including when you can start booking. The best Fastpass slots will go first to those who know the system and book early. Our Guide to Fastpass+ will give you all the essential information plus we have additional guides for each theme park. Take your time. Disney World is huge. It can’t be done in just 1 or 2 days. If you go charging around the World on your first day, trying to do all those big attractions, you will burn out. The Orlando heat can be heavy going especially in the summer months. Plan to have a break during your day e.g. return to your hotel or have a table service meal. Our Guide to Orlando Weather has plenty of other tips to beat the heat. Not drinking enough is perhaps the biggest mistake you can make at Walt Disney World. Carry water and drink regularly. Dehydration and sunstroke are easy to acquire but easy to prevent. In addition, you don’t have to buy expensive bottles of water. There are plenty of free water points in all parks and all counter service restaurants will give you a free glass of water. Sunscreen, hat & waterproof all might be needed on any day. Have a plan for what to do if the weather turns. Read our guide to Orlando Weather for more tips & tricks. If it rains when you are in the park you can buy a poncho. However, they are very expensive. 8 Have access to the park Wi-Fi. Online access is essential in Walt Disney World. The My Disney Experience App is your essential resource for reservations, wait times, maps, showtimes & a lot more. Wi-Fi is available throughout all parks and resorts at Walt Disney World. Unfortunately, due to leave, avoiding major holidays might be unavoidable. While you will have a great time no matter when you visit Walt Disney World, lower crowds do mean less stress and more fun. If visiting at the busiest times, is unavoidable, our Guide to Beating Crowds at Disney World might help. Failed to get a Fastpass for Space Mountain, Soarin or Slinky Dog Dash? Get to the park for opening. Lines will be quieter the first few hours each day. 11 Don’t attempt to do it all in 1 day. All Walt Disney World Theme Parks are massive. Epcot, The Magic Kingdom all take at least 2 days to complete. 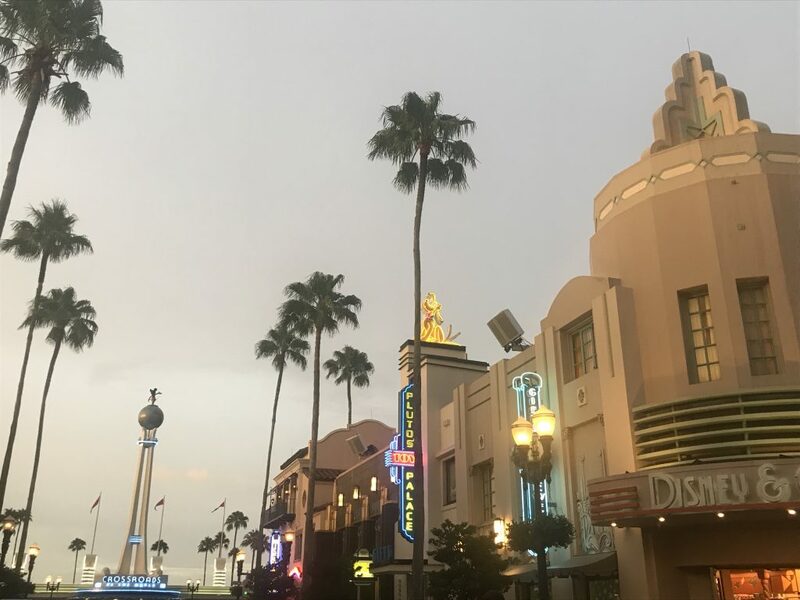 Currently, Hollywood Studios can be completed in 1 day but this will become more difficult as new attractions open. Attempting a park in 1 day will probably lead to failure, tiredness & grumpy kids. If you do have less time, decide on your must-do attractions before you visit. While there are some fantastic attractions at Walt Disney World, some are better than others. If time is tight, you will want to skip the odd attraction. Before you arrive at Walt Disney World let the whole family pick which are their must-do attractions. 14 Shop at the end of the day. The shops near the entrance at all parks stay open for 1 hour after the park advertised closing time. If you are not stating in a Disney World Resort don’t even consider visiting on an Extra Magic Hours day. You can learn more about Extra Magic Hours in our guide. This is evening worse than attending early on the day! By mid morning the park will be packed. 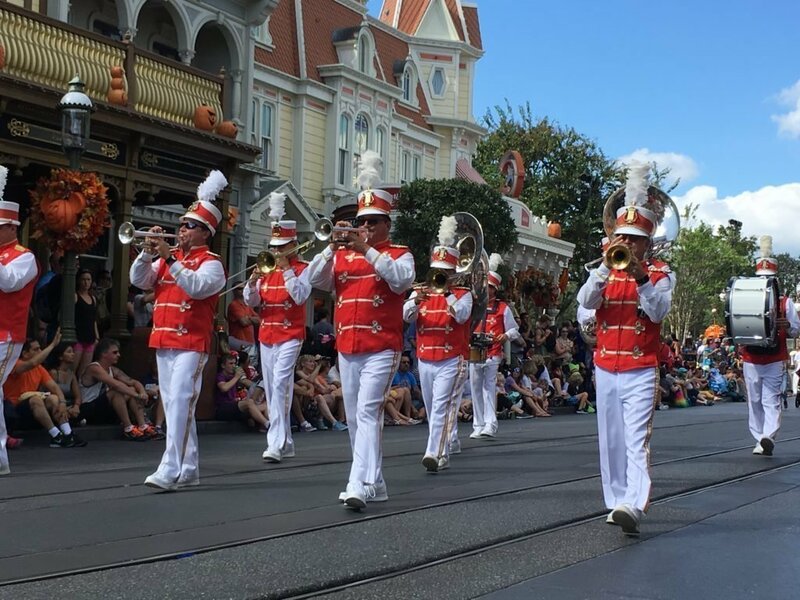 Queues will often be quieter during parades, nighttime shows and fireworks. Consider skipping them if you are tight on time and want to complete more rides. 18 Check park opening times. Park opening times vary daily throughout the year and often change last minute. If you are visiting between late August & December, there will be Halloween or Christmas Parties in The Magic Kingdom on select dates. The park will close early on these dates for guests without party tickets. 19 Make sure the kids are tall enough to ride? There is no reason why older kids and adults can’t ride the attractions if small kids can’t. Once complete the 2nd Adult, and up to 3 more guests can join him through the Fastpass queue. 21 Don’t forget the sunscreen. In summer many of us will find our skin will burn & the Orlando Sun can be unforgiving. Plenty of sunscreen and a good hat is required when visiting the parks. Our Guide to Orlando Weather has plenty of tips and tricks. Sure they don’t need a stroller when you visit the local park, but for many small children, they will walk a lot more than back at home. Be ready to hire a stroller for all under 5s and some older kids too. Hiring is available in all parks but isn’t cheap. If you have a stroller bring it with you! Many adults will also find the walking at Walt Disney World difficult. The Orlando heat and humidity can contribute to difficulties. If you are older, have arthritis or medical issues you may wish to hire an ECV for your vacation, or just for certain days. Further details are available in our Guide to Disabilities at Walt Disney World. Disney World provides extensive facilities for all forms of disabilities including visual, auditory, mobility & cognitive disabilities. You are able to contact Walt Disney World at (407) 560-2547 or [email protected] prior to your visit to discuss your requirements. 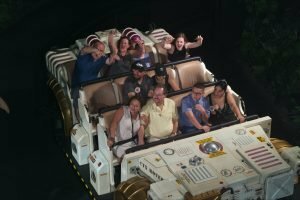 Walt Disney World has created a Disability FAQ which you also might find useful to review. 25 Disney World caters for food allergies and intolerances. Walt Disney Parks and Resorts is the recipient of a FARE (Food Allergy Research and Education) Award. The award was given for their dedication to proving a safe and enjoyable dining experience. Read our Guide to Visiting Disney World with Food Allergies for further information. Disney’s Advanced Dining Reservations are used for making dining reservations at Walt Disney World. All table service restaurants at Walt Disney World accept Advanced Dining Reservations. Guests can book reservations for Disney restaurants 180 days in advance of their visit. The most popular restaurants do book up fast and can be difficult to book shortly after bookings open. Standby lines often do not exist for guests without a reservation, and when they do waits can be very long. We have created a guide with more information about Disney’s Advanced Dining Reservations. Make sure your shoes are worn in and comfortable you will be doing a lot of walking. Did you know the British Queen hires someone to wear in her shoes? It is all based on the side of the road we drive on. Almost always the left side line is shorter. Before you arrive, you will probably have paid for your hotel and park tickets but remember dining, gratuities and souvenirs are not cheap. Do you need that extra pair of Mickey Ears? When you stay on site at Disney, you have access to free transportation to the parks and Disney Springs. Disney offers a list of transport options from all resorts, and they will drop you to virtually the front entrance of all parks. To learn more about Disney Transportation visit our guide. This relatively new service is very similar to Uber & Lyft. However, it is very expensive in comparison to Uber & Lyft for a very similar service. We think hiring a car is often an unnecessary expense when visiting Walt Disney World. To read more about doing Disney World without a car read our guide. Walt Disney World is big and getting between places take some time. You must allow adequate time when working between parks. If using Disney Transport, to travel between most resorts, you must transfer at either a Park or Disney Springs first. We think a park hopping ticket for most guests is essential. You can plan your vacation with increased flexibility if you can hop between parks. It does cost a bit more, but for most guests, we think it is a price worth paying. Water Parks cost extra on top of basic tickets. Only pay for them if you intend to visit. Click to learn more about Walt Disney World tickets. Walt Disney World parks are even more magical at night. Make sure you don’t leave before it gets dark. All 4 parks have unique nighttime entertainment, plus the last couple of hours of park opening often attracts much quieter waits at the most popular rides. A Single Rider Line is available for Expedition Everest, Test Track & Rock N Roller Coaster. You can save a Fastpass selection by joining the Single Rider Line. 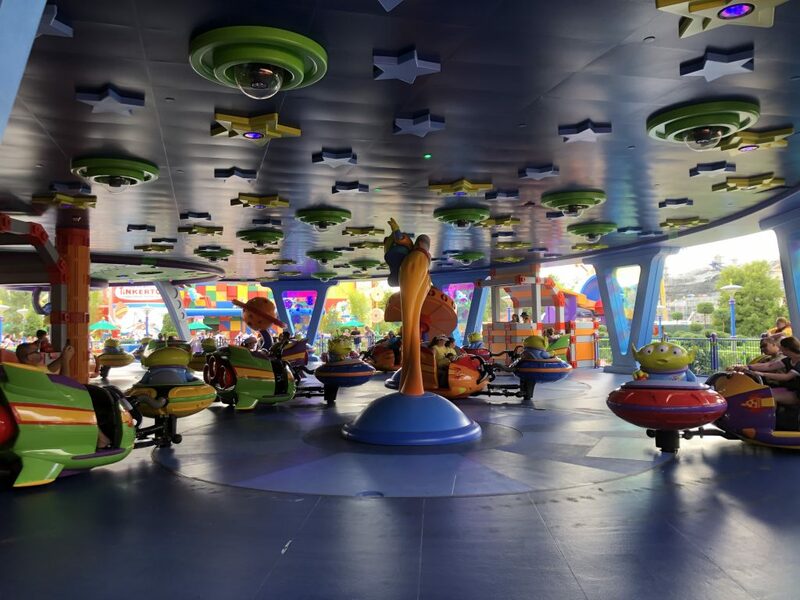 As soon as there is a gap on the ride, the cast member will fill it with a single rider. Disney World is not all about rides. Check your time guide and try to catch an occasional show. Catching a show also offer the opportunity for a rest and some time out of the sun. Attractions do close for refurbishments and these are usually advertised well in advance. Whilst the majority of these will not ruin your vacation, would you be happy if Flight of Passage was closed? 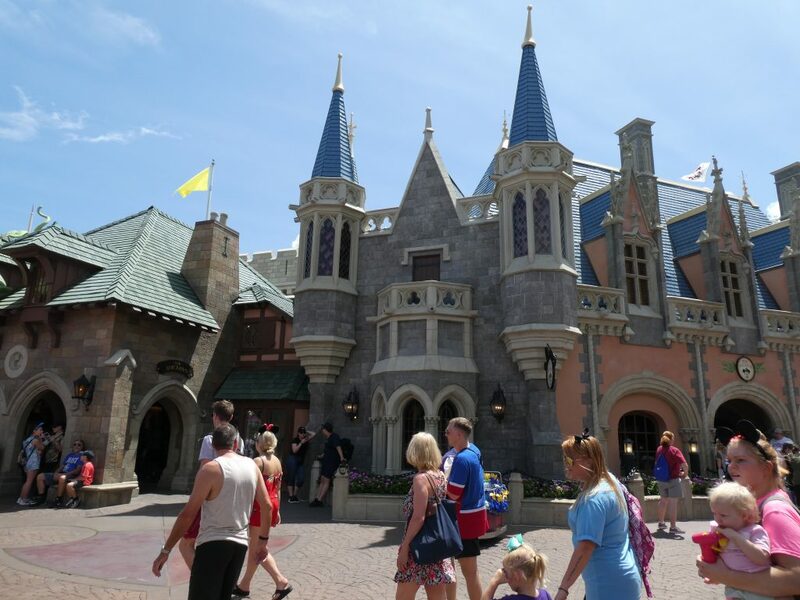 You can find out more about Walt Disney World Scheduled refurbishments here. Character lines can be very long at Walt Disney World. Some you can get a Fastpass for, other you can meet in several parks & some you can meet at character meals. Will it be enough seeing characters in a parade? Consider creating a character strategy. Our guide to meeting characters at Walt Disney World might help. Epcot is the center for Disney World Cuisine. With restaurants from all around the world, there is something that will appeal to everyone. Your day in Epcot should really include having a meal. There are several festivals held throughout the Epcot year. The Festivals offer unique entertainment & the opportunity to enjoy speciality food served at outdoor kitchens. Many people have the impression Epcot is for adults. In fact, it is one of our kids’ favorite parks. 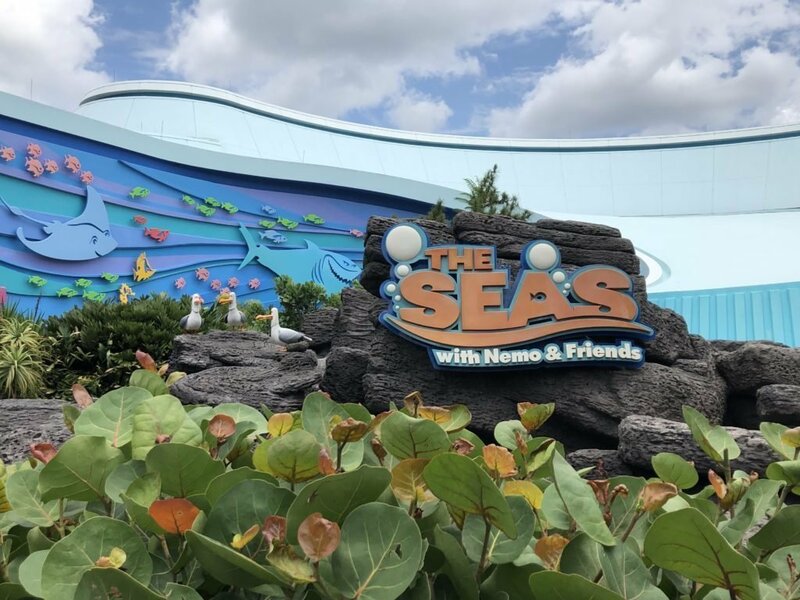 While kids will love Turtle Talk and the Seas with Nemo & Friends, the World Showcase is the biggest star for any children with a curious mind. Drinking around the World is a fantastic fun Disney experience enjoyed by many adults. Just remember the Florida sun can be unforgiving if you drink a bit too much alcohol. The ride is much better at night. A better dark ride than even Space Mountain! This one might seem an odd choice, but again it is a very different ride at night. Probably my favorite store in the whole of Walt Disney World. The chocolate pineapple & strawberries are superb. You probably already know this, but Pandora – The World of Avatar should not be missed. In our opinion, it is the best area currently at Walt Disney World. However, that might soon change with the opening of Star Wars Galaxy’s Edge. Pandora opened to the public in May 2017 and is inspired by James Cameron’s Avatar. The area contains 2 main attractions Avatar Flight of Passage and Na’vi River Journey. For more information & tips on Pandora read our guide. Typically the animals are more active in the morning. However, no two safaris are ever the same. If you have time ride twice. The previous on ride storage has been removed. Your belonging will get wet, perhaps very wet. Lockers are free and located near the entrance to the attraction. Rivers of Light is certainly worth seeing, but if you are short of time it might be worth sacrificing to ride all the other top attractions. The arena is large and many guests will move out of other areas to watch the show. In our opinion, there are better Night shows at Walt Disney World than Rivers of Light. If you are short of time and you only have 1 Fastpass for Pandora the wait will drop during Rivers of Light. We walked on Na’vi River Journey during Rivers of Light. Obtaining a Flight of passage Fastpass is our number 1 tip for your Fastpass Strategy. You should try and book this as soon as reservations open. Don’t expect to get one later in the day, and the standby lines will be very long. Our Animal Kingdom Fastpass Strategy has Tips & Hints if you do miss out on getting a Fastpass. 53 Don’t go to Toy Story Land on Opening! Everyone else will be heading to Toy Story land which means other attractions will have light crowds. Get the other attractions done first then visit Toy Story Land. Rivers of Light might be the newest night-time spectacular at Walt Disney World, but Fantasmic is better. 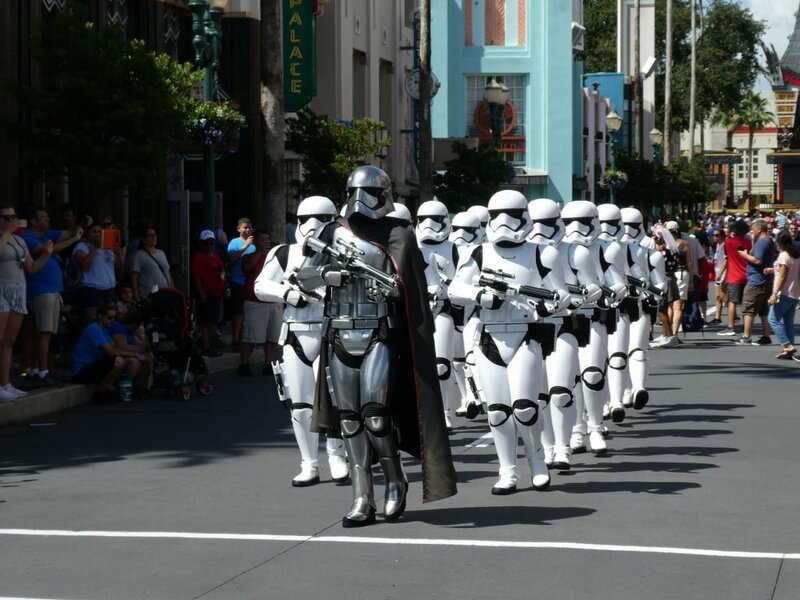 Plus the Star Wars: A Galactic Spectacular Fireworks are well worth seeing too. I have no idea if this is true. Apparently, if you don’t put your 3D glasses on until the ride starts you have an increased chance of being picked. Mornings are cooler & you can avoid those daily summer afternoon storms during the summer. Also, if the weather turns bad you should have a Plan B. Character Palooza is an unpublished character meet and greet that occurs on any day that Hollywood Studios holds performances of Fantasmic. During Character Palooza between 5-10 rare characters will make unscheduled appearances. This meet & greet will be advertised nowhere and cast members will even deny it exists. The site varies, it may be cancelled by bad weather and the frequency even varies. The only thing you can guarantee if there is no Fantasmic, there will be no Character Palooza. If you are in a line, you will meet the character. Characters will occasionally have breaks but they will return. Cast Members will close the line if the Meet & Greet is scheduled to close. At Character Meals, all tables will be visited! Don’t ruin another table’s experience by jumping on Mickey Mouse. In the unlikely event, you do get missed speak to a Cast Member and they will return. 60 Don’t push or poke characters! Seriously it does happen, often by adults, and it isn’t nice. Keep an eye on the kids as they can get a bit overexcited. 61 Don’t spend too long with the characters. It is nice for everyone to have both individual and group photos, but there will also be people behind you. 62 Be patient if a Character goes for a break. They will be back, and it isn’t the Cast Member manning the line fault that Goofy needs the restroom. Take a break and return to the park in the evening. Not only will it be cooler but crowds often will be lighter. Look at the crowd calendar on various websites to see if you can pick a pattern of the best days to visit specific parks. Our experience is these websites often offer conflicting opinions, but by reviewing several, you should start to get an idea of the best time to visit parks. Nobody can guarantee what the crowds will be like on any particular day in a specific park. While predictions are often right they are also often wrong; it isn’t worth paying for. There is plenty of free advice available online which is just as accurate. We strongly recommend everyone creates a plan when visiting Walt Disney World. However, a good plan should be able to be easily altered if unexpected events occur. Events do occur, e.g. bad weather or sickness have some spare capacity so you can catch up. Anyone want to try the Ultimate Disney World Resort Hop? As soon as you join the line for your 3rd Fastpass of the day book your 4th using the My Disney Experience App. Remember your next Fastpass can even be at another park. Quick Service meals can be very large. A family of 4 will usually have plenty to eat by purchasing just 2 or 3 meals. If you are struggling to book a restaurant on My Disney Experience for Disney Springs check also Open Table. many locations also have table reservations available on the site. Reservations do get cancelled and new slots do become available. If Disney extend opening hours new slots will become available. You can view your photographs online or in the My Disney Experience mobile app. There is no charge to have pictures taken or to see them online, but there is if you want to download them. Memory Maker is a package which allows you to download and keep all the pictures you have taken in a 30-day window including ride photographs. Memory Maker is cheaper to buy before you arrive and is often included as an extra in Disney World resort bookings. You can learn more about Photopass & Memory Maker in our guide. What are the things you must take into the park? Make a list of what you need e.g. camera, autograph book, poncho. Pack your bag the night before and check it before you leave in the morning. However, there is a difference between being prepared and being too prepared. Remember you will be carrying your bag all day. Other blogs we find often suggest things to pack which you are unlikely to need. We have created a guide to what we think you should include in your Walt Disney World park bag. There are numerous accommodation options throughout Orlando. Accommodation options include luxurious villas, budget motels & 5-star hotels. Many hotels include free transportation to Walt Disney World. All these options have one big advantage over Walt Disney World Resorts and that is the price. You will get more “Bang for Your Buck” staying off-site! We have created a guide to help you decide whether to stay on-site or offsite at Walt Disney World. 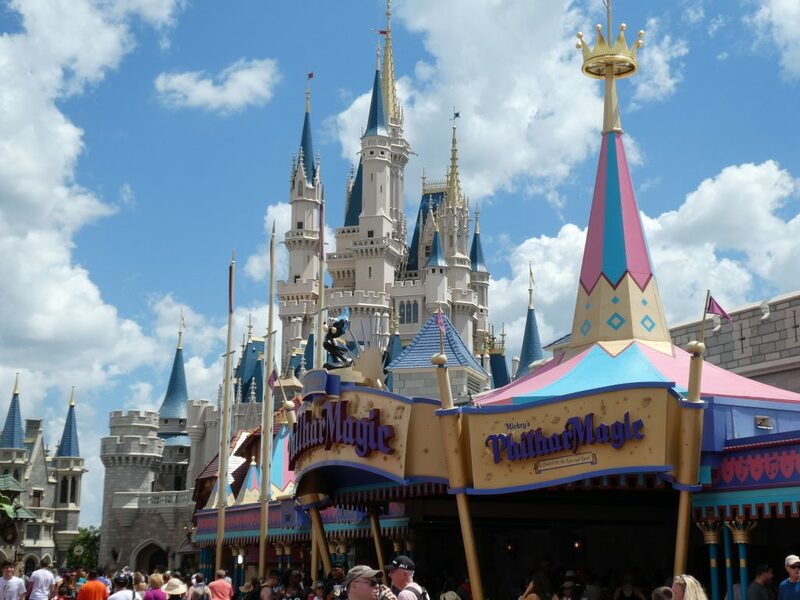 There is a list of items which you are prohibited to bring into any park at Walt Disney World. All guests & their bags are subject to screening before gaining entry to a park. 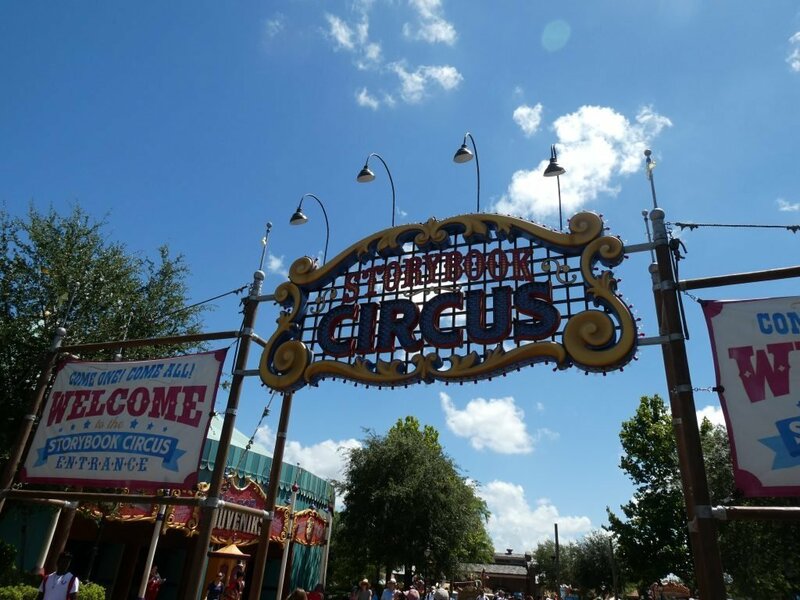 While the majority of prohibited items at Walt Disney World are relatively obvious, there are a few items which you might find surprising. The link provides more information on Theme Park Rules & Prohibited Items. Walt Disney World is happy to accept most credit cards. Cards are accepted almost everywhere including the smallest mobile counters. If you do need to obtain cash, then ATMs are located throughout Disney World and can be located on park maps and the My Disney Experience App. Walt Disney World recently banned smoking inside all theme parks. You now have to leave the park to smoke and that includes electronic cigarettes. Is it worth trying to quit before you visit? In our opinion you should avoid Sanford Airport when visiting Walt Disney World. Getting from Orlando International Airport without a car to Disney World Resorts is a breeze via Disney’s Magical Express. Magical Express is a free service that will transport you and your belongings to Walt Disney World. Magical Express is not available from Sanford. Our Guide to Walt Disney World Transport has further information. The Disney Dining Plan is a prepaid meal plan offered at Walt Disney World for those staying in Disney owned resorts. The plan must be booked before arrival with a valid park ticket and is only available to guests staying in a Disney Resort. It is also open to Disney Vacation Club members. On occasions, the Disney Dining Plan is available free as part of your package. Free dining is one of the best offers Walt Disney World have and should be taken if possible. However, paying out of pocket does not always represent excellent value for money. Visit our Guide to the Disney Dining Plan to learn more. Aim for purchasing snacks that cost at least $5. Water rarely represents a good use of a snack credit. Make sure you use all your snack credits. You can exchange any leftover credits for candy in the Resort Shops before you return home. You can also use leftover quick service credits for snacks in some shops. 1 quick service credit represents 3 snack credits. Breakfast is usually cheaper than lunch or dinner and therefore represents poorer value on the Disney Dining Plan. It is easy to lose things at Walt Disney World but perhaps amazingly things often do get found! If you lose anything at Walt Disney World it is important to report it straight away. Information on how to report your lost items is located here. 88 It is easy to care for babies when visiting parks. If you are visiting Walt Disney World several times during the year or have a longer vacation purchasing an Annual Pass might represent good value for money. Walt Disney World runs different offers throughout the year. usually these offers differ depending on which country you reside. There is nothing stopping you booking from international sites if better offers are available. However, read T&Cs carefully as these also vary considerably. You will find many sites recommend using Disney Vacation Planners. Many Walt Disney World blogs are also Disney Vacation Planners or receive commission off these planners. We think you can usually purchase a better value vacation by shopping around yourself. We recommend caution before handing your booking exclusively to a Disney Vacation Planner. Lines will be open until park closing time. Everyone who joins the line will ride and this is usually significantly shorter than the advertised wait. Don’t be put off, take advantage of every last minute in the park. Both Magic Kingdom monorails stop at the Transportation and Ticket Center. Despite having more stops the Resort Monorail usually has much shorter lines. You will usually be at the Transportation and Ticket Center quicker. The majority of dining reservations can be cancelled up to midnight prior to your visit. However, the most popular venues do have different rules. Remember, if you fail to cancel your reservation you will be charged. It is easy to forget where you park your car at Walt Disney World. Take a photo of the location prior to heading into the park. It can take a little while to get used to the Orlando humidity. Future World contains many large indoor pavilions. These locations are air-conditioned and offer a great opportunity to get out of the heat. We think Future World is a great place to condition yourself to the Orlando heat & humidity. The reverse is true of Animal Kingdom. There is very little shelter inside the park and you should visit once you are more conditioned to the Orlando conditions. Unlike Singapore chewing gum is not banned at Walt Disney World. However, to reduce its use it is not sold in any shops. If you can’t cope without make sure you bring it with you. You need to be careful with the amount of souvenirs you buy at Walt Disney World. Make sure you keep space in your suitcase to bring them home. Previously we had to buy an additional rather expensive case at the resort shop to bring our extra items home! Getting a dining or Fastpass reservation for a large group can be difficult. Splitting into groups of 4 can usually make the challenge much easier. Disney Pin trading is great fun. However, do not trade expensive pins. Unfortunately, there are lots of fake pins which are difficult to pick up by cast members. Amazon & Ebay are great places to pick up pin packs to swap, but a percentage of these are also likely to be fake. We have previously discussed about not using the Minnie Van Service. However, Uber & Lyft are also cheaper than the taxis you will find outside your resort hotel. We like free things at Modern Life is Good and what isn’t there to like about free Coke products? The Beverly perhaps! Give it a try if you have never tasted it. Club Cool at Epcot is rumoured to be closing soon but visit before it does. 105 Need to get to The Magic Kingdom from Disney Springs? Take a bus to the Contemporary Resort and it is just a short walk to the park. There are absolutely no excuses for dropping rubbish at Walt Disney World. You never need to walk more than 30 steps to find your nearest trash can. Walt Disney implemented this after working out that people would drop litter if they needed to walk more than 30 steps. Mr Toad’s Wild Ride was an original park favourite and there were many protests prior to its closure. Toad can still be seen in a picture at Winnie the Pooh where he hands over the deeds to the ride to Owl. In the pet cemetery of the Haunted Mansion, there is a tombstone for J.Thaddeus Toad. 108 Can I have a Pepsi with that? Pepsi isn’t sold at Walt Disney World. However, more than 50 million Cokes will be each year. There are thousands of Hidden Mickeys throughout the resort and more are added with each change. A Hidden Mickey is a representation of Mickey Mouse that has been inserted subtly into the design of a ride, attraction or other location. Why not have a competition to see who can find the most? Walt Disney’s original plans for Epcot can be seen when riding Tomorrowland Transit Authority. This is strictly not allowed but is a regular occurrence. There are strict cleaning protocols in place should this happen. Uncle Henry is more likely to end up in a Henry than on Dumbo! If you ever hear a cast member say White Powder Alert or Code 101 ashes have just been discovered. If you arrive early or have a late flight you can still enjoy the parks. Leave your luggage with Bell Services where it will be safe. Walt Disney World sodas are large. Why not share 1 soda and then get a bottle of water as your 2nd drink when getting a Wuick Service? If you are staying in a Disney Resort you don’t have to carry items you purchase all day. Ask the staff to deliver to your resort and you can pick it up from the shop later. Let the kids watch films before they visit. They will not be familiar with all characters/films before they visit especially some of the classical characters. Have some family movie nights to catch up with all the latest Disney releases. They do fly away! I have never been forgiven by Jess! Don’t forget to visit Kidcot in each country to complete an activity and collect activity cards. Kidcot helps kids explore different cultures. A new Kidcot was introduced in 2018. There might be no height restrictions but it probably isn’t suitable for under- 5s. A Deluxe Resort is more comfortable and the majority are in better positions. However, the majority of resort benefits are provided to all guests. Value Resorts are sometimes great value for money. Recognising your stroller or ECV is not that easy. Tie some easily identifiable ribbon to make sure everyone knows it is yours. 122 Your stroller might not be where you left it! Don’t panic! Disney World Cast members often move strollers to manage guest flow. If the kids want to dress up when they visit purchase costumes before you visit. You can get similar items much cheaper before you visit. Don’t get carried away with the vacation bug! A Disney Vacation Club purchase is a big decision. Big decisions should probably not be made on vacation. If you are staying at a Disney Resort Mickey can wake you up every day. details are available in your room. A recommended amount is added to your bill. For groups of 6 or more the tip is compulsory. However, you should tip all wait staff. Tipping isn’t expected and will usually not be accepted. Mousekeeping are you room attendants. The cast member can change daily so tip on a daily basis, not at the end of your vacation. Leave a short note too and you will usually get a little extra perk! 129 Cast Members will take your photo. Just ask and this includes Photopass photographers. They are happy to take an official photo and one on your phone too. I don’t think I ever visit Walt Disney World without a good guidebook. They are great fun to read at the end of the day or when sat on the plane. Read reviews first, some are much better than others. All Walt Disney World parks currently offer character breakfasts which open before he park main opening. By the time you finish your breakfast you will often be ahead of the arriving crowds. If you already have Fastpass Reservations for the most popular attractions join less popular attractions on park opening. You will be amazed how many attractions you can complete in the first few hours. If you don’t have a Fastpass for Frozen Ever After the route is quicker than through the main entrance. Spaceship Earth attracts huge crowds on park opening. However, prior to park closure it is usually a walk on attraction. There is an additional entrance to the park inside the Rainforest Cafe. Often it has much shorter waits. Most of the Walt Disney World Resort is in Orange County, Florida which has a tax rate of 6.5% while the most southern Resort hotels and venues are in Osceola County, Florida which has a 7.0% tax rate. However, the lower tax rate will be honored in all parks but you need to ask. Recently Quick Service restaurants at Disney World have started to allow you to order your food ahead of your visit. Via the My Disney Experience App you can order your food and prepay using the Disney Dining Plan or a credit card. Once you get to your restaurant, hit the “I’m here” button, and you will be notified where to collect your order. If you want to experience a table service restaurant, but are put off by the price, lunch menus serve the majority of the same entrees but at a lower cost. 139 Difficulty getting a dining reservation? The most popular restaurants do get full quickly. However, cancellations often do happen. Keep checking back regularly on My Disney Experience if you fail to get your booking. Obtaining reservations is usually easier if you are prepared to eat your main meal at lunch or outside of peak periods. Standby lines often do exist, but if you are on the Disney Dining Plan do not risk getting a table on the day. There is no refund available if you do not manage to use all your table service credits. Remember you need a valid theme park ticket to enter a park restaurant. If your ticket isn’t valid, you will not be permitted to enter the park. Before deciding where to book read reviews on Walt Disney World Restaurants. The majority of Walt Disney World Restaurants are excellent, but the food will not suit all tastes. Tables in Wonderland is exclusive to Florida Residents, Passholders and Disney Vacation Club Members. The card gives a 20% discount on food and alcohol at over 100 restaurants and is worth considering to purchase. Annual Pass holders and Disney Vacation Club members are entitled to various discounts. Make sure you use them! Hoop-Dee-Doo Musical Revue at the Fort Wilderness Camp Ground. The longest-running show at Walt Disney World full of audience participation. Spirit of Aloha Dinner Show at the Polynesian Village Resort. Enjoy Hula Dancing & more at this family feast. While the food isn’t the best, Dinner Shows are great fun. Men: Khakis, slacks, jeans or dress shorts and collared shirts. Sport coats are optional. Women: Capri pants, skirts, dresses, jeans or dress shorts. Not permitted in Signature Dining Rooms: tank tops, swimsuits, swimsuit cover-ups, hats for gentlemen, cut-offs, torn clothing and t-shirts with offensive language and graphics. The World of Disney at Disney Springs is the World’s largest Disney Store and has just had a massive upgrade. You can almost every Disney item you could ever need inside the store. Accept for one……. Mrs Modernlifeisgood has never really forgiven me, but you would expect buying a birthday card would be easy! However, there are very few locations that sell cards of any kind and that includes amazingly The World of Disney. You are able to bring your own snacks and drinks inside the park. However, no glass or alcohol is allowed. Sorcerers of the Magic Kingdom is a great way to have some additional fun in the Magic Kingdom. Stop by the Firehouse on Main Streett to receive your Sorcerer Key Card, Merlin’s mystical map and spell cards. Both adults and kids will enjoy the challenges. I have no idea why you would want to, but you can bring your dog to 4 resorts. Art of Animation, Port Orleans – Riverside, Yacht Club and The Cabins at Fort Wilderness allow up to 2 dogs in select resorts. Dogs however are not allowed in the parks and there are various rules and regulations. Contact Disney for further information. The majority of service dogs are allowed inside parks and can even ride with you on some attractions at Walt Disney World. 153 Can we share tickets? Walt Disney World tickets are non transferable. While the Walt Disney World website makes picking tickets easy, there are usually several ways to purchase slightly cheaper tickets. However, when looking for tickets, you should purchase from reputable retailers only. Search online to check reviews from previous guests before buying. It is impossible to know whether the advertised unused days are correct plus Disney scan guests fingers prior to admission. All tickets are untransferable & it is highly likely that your tickets will be useless. There are several legitimate authorised ticket dealers and while they will offer some discount it is usually only small. 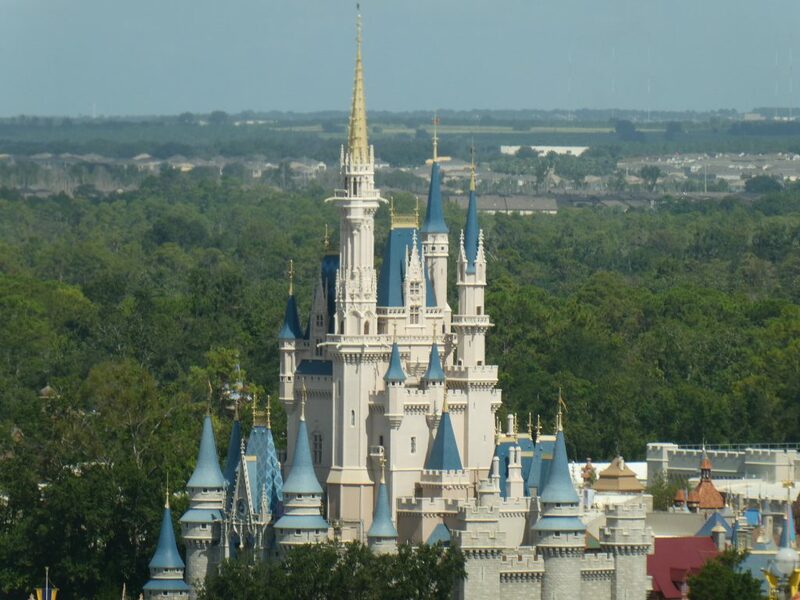 Walt Disney World vacations are not cheap and extras soon add up. Set a budget for your vacation and stick to it. We have some budget planning sheets in our free Walt Disney World Planners. Prices of flights do vary, and the best time to book does differ from country to country. Look online for historical dates of price fluctuations and sales. Cashback sites are a great way to get a little of your vacation price back. Simply click from the site and get some of your money back at a later date. Check as soon as possible if you will need a new passport for your vacation if traveling outside of the US. 162 Do you need an ESTA or Visa? Check the requirements early of what you will need to enter the US. Refill sodas are free at Walt Disney World Table service restaurants. If you ask for a refill at the end of your meal you will be given in a cup you can takeaway. Most guests will start at the front of a park. Head straight to the back on opening for the shortest lines. Wait can be long therefore it is better to be prepared. Visit the restroom before you join a long line. 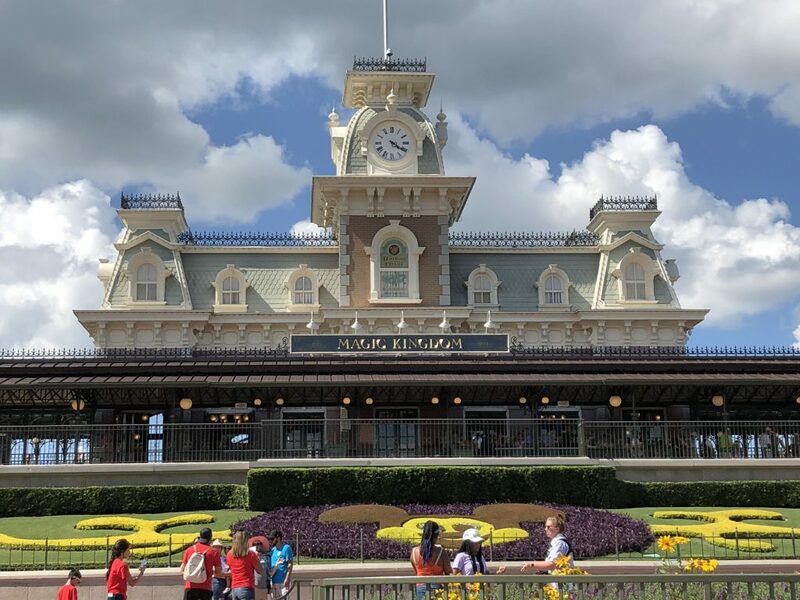 There increasingly seems to be no off-peak season at Walt Disney World, but crowds are still lighter when the kids are in school. the majority of items can be returned to any store if something is not quite right. You do not have to visit the store you originally made the purchase from. An alternative to pin trading, without the risks fakes, is collecting pressed pennies. Pressed penny machines are located all over Walt Disney World. The majority of these machines have unique presses. It can get quite cold in Orlando during winter evenings. Make sure you have a warm coat and perhaps some trousers. The Electrical Water Pageant is a little bit of Walt Disney World history and was part of the opening day attractions. There have been a few changes over the years, but sea creatures still sail across Seven Seas Lagoon nightly with accompanying Disney tunes. Click the link to see what time you can see the Electrical Water Pageant. 171 Can I pay for extra Fastpass+? For the majority of guests, the answer to this question is no. However, guests staying in Club Level or select Suites do now have the option of purchasing additional Fastpass Reservations. Guests must buy this option for a minimum of 3 days during their vacation but it isn’t cheap. Our Guide to Fastpass has further information. 172 What is a MagicBand? It is a rubber band that goes on your wrist which contains Magic! Actually they are not magical, but they are very clever. 173 How do I get a MagicBand? If you are staying at a Disney Resort, you get them for free. Your band will be shipped to your home address in the US only or can be picked up at your resort reception. 174 Do I need a MagicBand? 175 Download the My Disney Experience app. 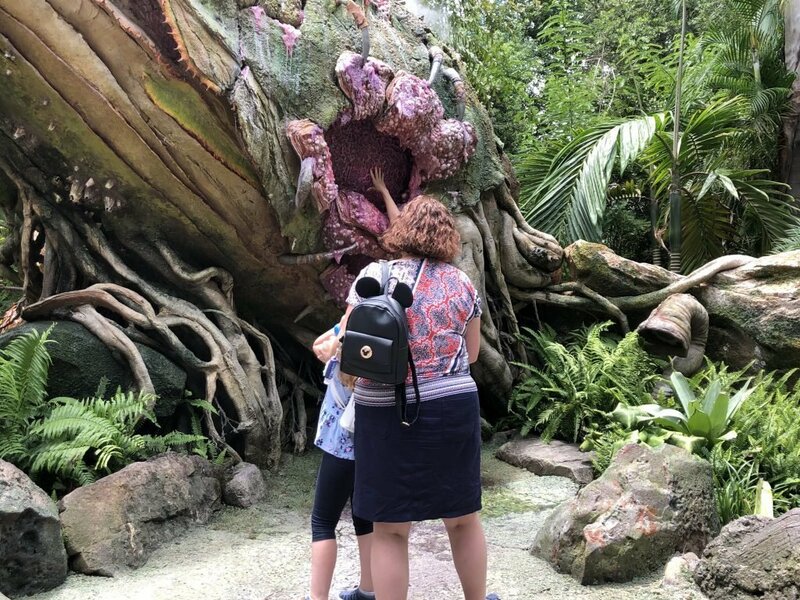 My Disney Experience is an app you can use while in the park to keep track of your plans, review your photographs and book further experiences. You can learn more about My Disney Experience in our dedicated guide. 176 What time should my Fastpass be? You probably should avoid Fastpass in the first couple of hours after park opening. Lines are usually quieter then. Try and complete your initial three selections by late morning/ early afternoon. This should provide you with additional time to grab further choices or hop to another park. Unfortunately if you are visiting for only 1 day you will be only able to pick 3 initial selections. It is unlikely that you can pick up Fastpass selections later on and all attract some very long waits. 180 What Fastpass should I book at Epcot? All 3 of these attractions are in Fastpass Group A along with IllumiNations and the Epcot Character Spot. Frozen remains the most popular of all 3 and is usually the hardest Fastpass to get. For most guests, Frozen should be your number 1 choice. However, if you don’t have small children you might consider giving it a miss. 181 What should be my number 1 Fastpass at Hollywood Studios? 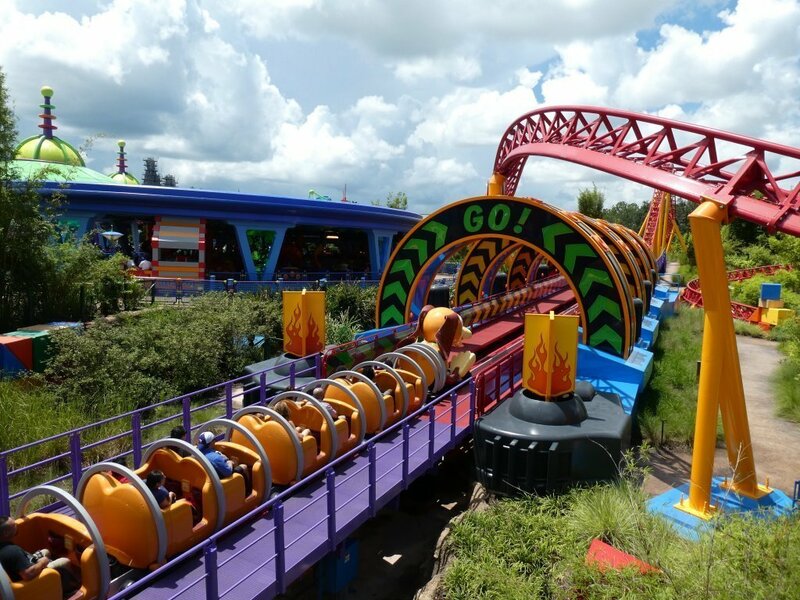 Slinky Dog Dash is the current Hottest Attraction in Walt Disney World. However, it is not attracting similar waits to Flight of Passage at the Animal Kingdom, but standby lines regularly exceed 2 hours. We believe you should put every effort into obtaining a Fastpass for Slinky Dog Dash. Make sure you know your key booking windows to get the best chance of securing a Fastpass. 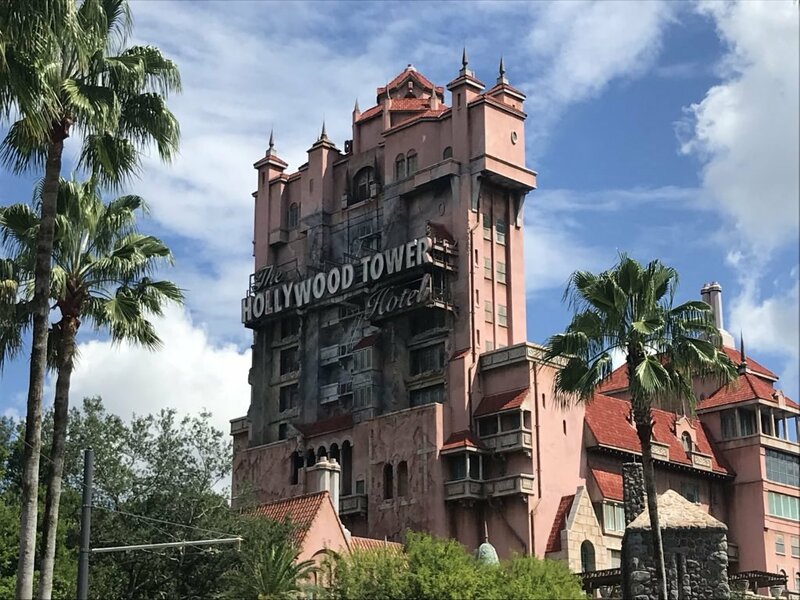 182 What should be my Tier 2 Choices at Hollywood Studios? This is relatively easy assuming you are brave enough to ride! Rock N Roller Coaster and Tower of Terror still attract long waits and should be your Tier 2 Selections. This is far from guaranteed, but rare characters do turn up at Epcot. Disney characters sometimes train at the International Gateway. If you catch them you may see rare characters with minimal waits. There are Hidden Mickeys everywhere but can you spot a Hidden Donald? Hint, it is in the Haunted Mansion. The Kiss Goodnight is a little extra unadvertised show in the Magic Kingdom. Starting approximately 15 minutes after the park officially closes. Keep you eye on Cinderella’s Castle to watch the show which lasts around 2 minutes. The majority of Disney World Resorts play Disney Movies outside every night. Walt Disney World Resorts often have special entertainment options which are free to participate in. In addition, there are special activities which can come with an extra charge. When checking in ask the cast member what is available at your resort. Part human and part tree this fascinating lady is very hard to spot at Animal Kingdom. Many other people will be, but you can have a great time in the rain! I never realised this until I started researching this post! The best thing about Transportation Trading Cards is they are free. Ask your driver or a cast member at monorail stations for the cards. There are pay phones located in Tomorrowland and Main Street. Pick the phone up to listen into an interesting conversation! Ask your skipper for a map of the cruise! 194 Arrive early at Christmas! Parks will often reach capacity by 10 am. This is a person irritation that Walt Disney World charges adult prices from age 10. 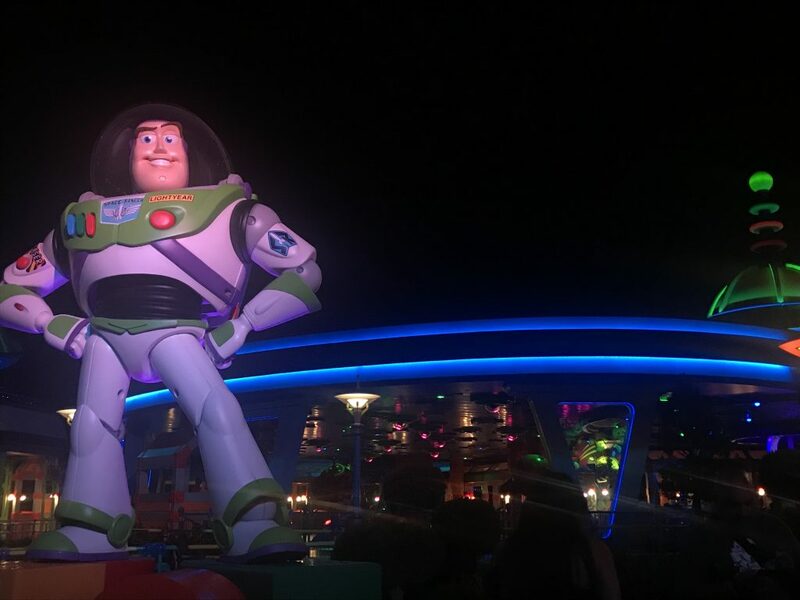 While prices of tickets are not that much more the Disney Dining Plan is considerably more expensive and you can not transfer alcoholic drinks to adults in the party. Wet rides, spills or just humidity might mean you want to put on some fresh clothes in the evening. Bring them with you to avoid returning to your hotel. Some rides will close at Walt Disney World during storms or during threats of. Schedule Fastpass selections for rides such as Test Track, Expedition Everest outside of the afternoon storm period. There is a lot to do and see at Disney Springs including free entertainment. For further information visit our Guide to Disney Springs. If you have time visit Disney’s other entertainment venue the Boardwalk. The Boardwalk is a great place to spend few hours, usually without massive crowds. Many items are heavily discounted in the stores and guests can grab themselves a bargain. Many of the items sold are still aavilable in the parks at a much greater price. The planning of a Walt Disney World Vacation can seem initially overwhelming but it really is fairly straight forward. Obtain a few good guidebooks and do online research and you will soon be able to create a perfect plan. Our final tip is after all the planning make sure you have fun. Relax you are on vacation. Go with the flow! Our Guide to Walt Disney World for 2019 is a great starting place to plan your Walt Disney World Vacation. Our guide has tips, hints and tricks to plan a perfect vacation.